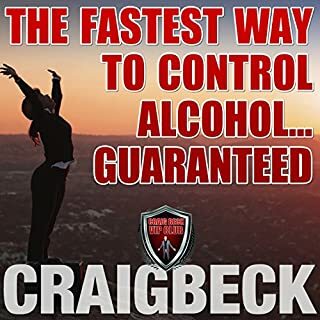 Craig Beck is better known as The Stop Drinking Expert - an ex-problem drinker who first found a way to cure his own 20-year-long alcohol addiction and then set about creating an easy-to-use set of tools to help other people also escape the alcoholism trap. 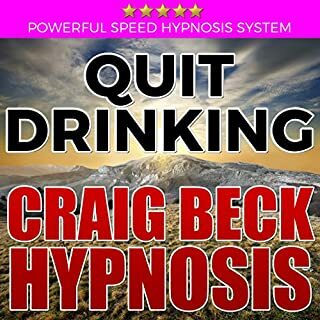 To date over 50,000 people have got back in control of their drinking using his books, videos, and powerful hypnosis tracks like this one. I was a heavy drinker for over 20 years. Are you sick and tired of feeling sick and tired? Alcohol is a powerfully addictive drug, and not the harmless social pleasantry that the marketing would have you believe. Willpower on its own has a 95% chance of failure. Quitting alcohol can be difficult unless you get the tools to help you reprogram your subconscious mind. 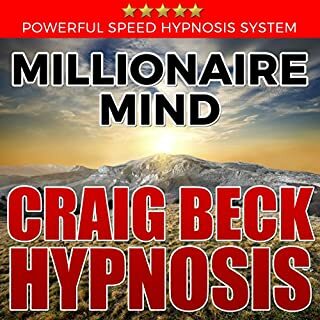 Craig Beck is a master hypnotist of 20 years and is also a respected timeline therapist and NLP master practitioner. He understands what makes people tick and more importantly how to access and remove the erroneous programs that cause us problems in everyday life. This is the most forceful version of my stop drinking hypnosis range. Designed for people who are adamant that they want alcohol out of their life forever. What did you like most about Quit Drinking Forever? It works! 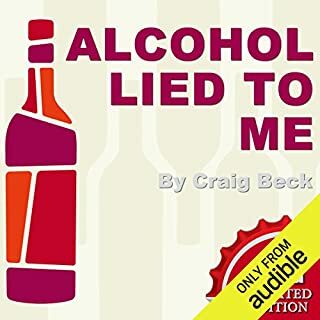 I used this in conjunction with Craig Beck's book "Alcohol lied to Me". 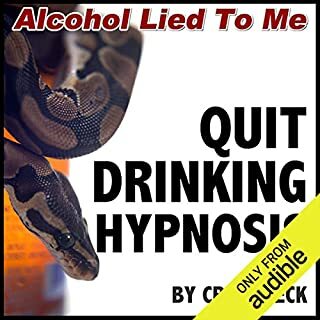 Admittedly, I had not had a drink for about 7 days prior to listening to the audio book and using this download, but I feel different this time; I have stopped several times in the past but sadly, I always went back to drinking. 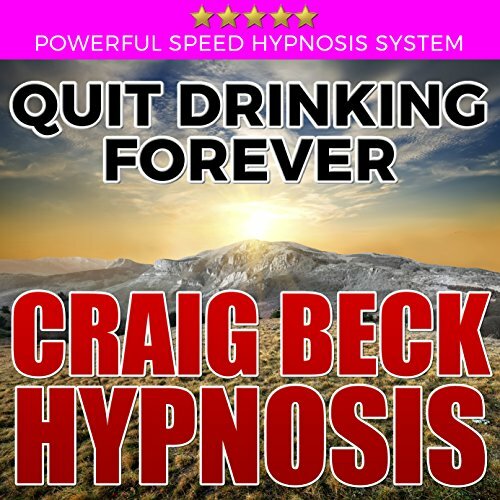 Beck exposes the brainwashing behind booze and empowers you to become a happy, sober human. What other book might you compare Quit Drinking Forever to, and why? Quit Drinking forever reminds me in it's methodology of Allen Carr's book "Quit smoking the easy way". That one worked, too! If you are serious about quitting alcohol, this will help. Ok, so I’m the type of guy who says hypnosis, what a load of crap. I only bought this audio for my wife along with The fastest way to stop drinking too, but I listened so I could talk to her about it & know what she was going through. Yes I drank but didn’t have a problem on the scale of my wife. We both haven’t touched a drop since listening to the 1st audiobook. We’ve both wanted too but managed to behave. So yesterday I purchased this one also & I gave it a go last night. Didn’t think it had worked as the audio ended, but woke up this morning & can’t remember the last time I actually enjoyed a drink. In my head is why bother, I don’t even enjoy the stuff anymore. 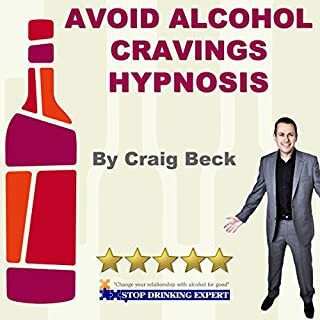 The author and narrator Craig Beck has had first hand experience of problem drinking which is why he can associate with the issues and problems drinking can course. This book is clear on what steps you need to take to Stop drinking, if you are thinking of just 'cutting down' on drinking this book isn't for you. Don't skip any chapters to find the secret on how to Stop drinking because there isn't one. The whole book has snippets of information throughout which combine to give you a whole package of knowledge on why you should quit drinking the poison known as alcohol for good. Is it all in my head?? ?....well I guess it is!!! I have been finding it sooo tough getting out of the habit of have a few bevvies most nights. It stopped me getting out of bed in the morning to train and had me ringing uber eats 5 nights a week....the kgs piled on! Was really skeptical but thought....whats the harm? Did this meditation/hypnosis after a hot bath so I was extremely relaxed. Opened my mind to the experience and now almost 3 weeks cold turkey...and it has been easy!!!! Not a craving...only a mindset of...'I dont need it...'. Training 5 to 6 days a week, eating healthy dropped 5 kgs and feeling amazing!!! Fell asleep. Not sure if it Finished . Need to try again how safe is it .